When you first start using a hearing aid, it can be somewhat of an unusual experience. Those with untreated hearing loss often wait an average of 5 to 7 years before getting treatment. During this time, their ears have adjusted to a level that is well below normal hearing. That’s why sounds may seem louder than usual when using a hearing instrument for the first time. There will be a little bit of an adjustment period during the first few days of usage, and these days are crucial to your success in adjusting to your devices. The following tips will help make your transition to a new hearing device go smoothly. Have patience, and remember that adjusting to these new hearing devices will improve your overall quality of life for years to come. Just as your eyes may need some time to adjust to a new vision prescription, your ears will also need some time to adapt to your hearing aids. This period is crucial because the devices help improve your hearing ability. At first you may feel discomfort in regards to the fit. The hearing aid may feel strange on your ears during the first week of fitting. If discomfort persists longer than a few days, than you may need to get your hearing aid adjusted. You should remain encouraged throughout the process of adapting to your new hearing aids. It will undoubtedly improve your hearing ability, but it doesn’t happen immediately. Because the hearing instrument is stimulating cells within your ear and brain that have not been used for prolonged periods of time, it will take your brain some time to adjust to the new sounds you’re capturing through the hearing aid. You can start slow and easy by wearing your hearing device for several hours at a time, and taking them out when you really need a break. As you now use a hearing aid on a daily basis to improve your hearing quality, you will also have to be aware of how it adapts to different environments. If you are going out to dinner, ask for a table in a quiet area away from locations with a lot of background noise. If you find yourself in a meeting, seminar, or conference, try to arrive early to find a seat close to the speaker. Don’t hesitate to ask the presenter to use a microphone at larger meeting settings. Keeping track of how your hearing aid is performing is vital, as it ultimately impacts your overall hearing quality. If you notice something out of the ordinary, or are facing difficulties picking up on specific sounds with your hearing instrument, write down when and where it’s happening. Also be cognizant of any odd sounds like buzzing or ticking that come from the hearing device. Keeping a log of this will allow a hearing health professional to easily diagnose the issue, adjust the programming on your hearing device, or suggest a more suitable hearing aid for your needs. As with anything, cleanliness is important. Your hearing aids may be impacted by dust, dirt, or even earwax, and this affects its sound quality. It’s advised to use a dry cloth or tissue while wiping down the outer parts of your hearing aid. Also be sure that nothing is blocking the microphone. The second most common source of hearing aid failure is blockage of the hearing aid receiver. If it’s impacted by dust or earwax, be sure to clean it thoroughly. Larger venues such as theaters, churches, or even school auditoriums may be able to accommodate those using hearing aids by tapping into the looping systems. These systems emit wireless signals that could be received by your hearing aid’s telecoil. If you are unsure if this option exists on your hearing aid, reach out to a hearing health professional for further assistance. As hearing aids greatly improve our hearing quality, there will be times when we encounter problems. 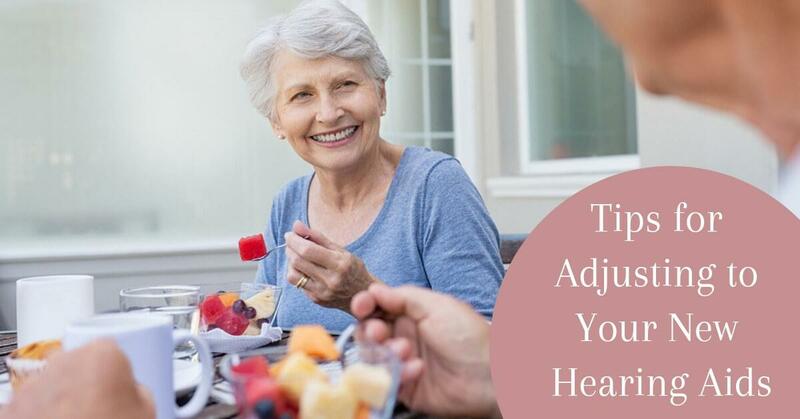 If you find yourself needing adjustments to your hearing device or are encountering difficulties adjusting to your new hearing aids, contact us at Beverly Hills Hearing Center today. One of our hearing health professionals will be able to troubleshoot your problems.